When I was at the beginning of my journey through Romania, I was recommended to stay in Vama Veche. This is a really nice Hippie, chill and enjoy – beach, I was told. This used to be a really nice Hippie, chill and enjoy – beach, I was told later… there is only one way to find out the truth. On my first night in Vama I camped out above the beach far away from anything else. The beach was lined with restaurants and bars adjourning each other. 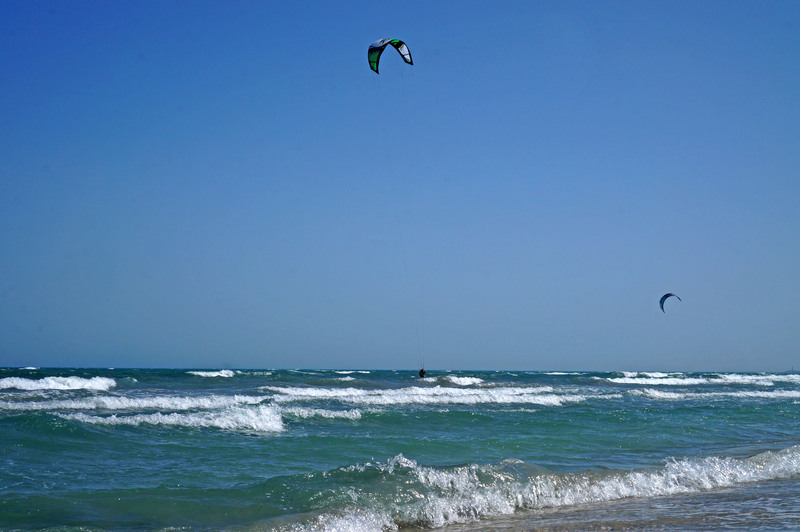 So unfortunately Vama had already made the step towards tourism and away from its alternative roots. While I was sitting out a stormy and rainy first night I got a couchsurfing request to stay with me in Vama for two days later. I agreed because I was happy to maybe have some company for a little bit of the way after Romania. Staying on the beach and enjoying the sun and the water didn`t seem the worst option either. So the next day I decided to move the van a little closer to the beach, which was the best decision ever. After about 4 days the group had to leave, because their extended weekend trip was over and it made me really sad waving my goodbyes and letting them go. I thought that the partying was over and I would chill a few days before proceeding to Bulgaria next. At this point Anja from Slovenia arrived together with another traveler in his Vanagon from Austria and I was proven wrong. Her Motto being “Disco, Disco – Party, Party” I had two more days of dancing on the beach with people from all over the Balkans. The first night was with some folks from the Czech Republic and Russia who where 100% certain I look like Adam Driver from Star Wars (Wikipedia) I ensured them that I`m not him but only is stunt double. :-) After loosing my CS Travel mate Anja somewhere along the way that night (she showed up again the next morning), the next day was dominated once again by replenishing with water and chilling on the beach. That day was going to be the last in Vama Veche since I was contacted by another couchsufer in Bulgaria a few days before, which I agreed to meet the next day. So the last night in Vama I decided to take it slow and go to bed a little early so I`d be fit the next day. It almost worked until I ran into Radu and 1,5L of Tequilla Sunrise (50/50 mix). I remember dancing in big circles with random strangers and jumping around till my legs where hurting. My personal highlight of these last two days is the special event of every partynight in Vama Veche. 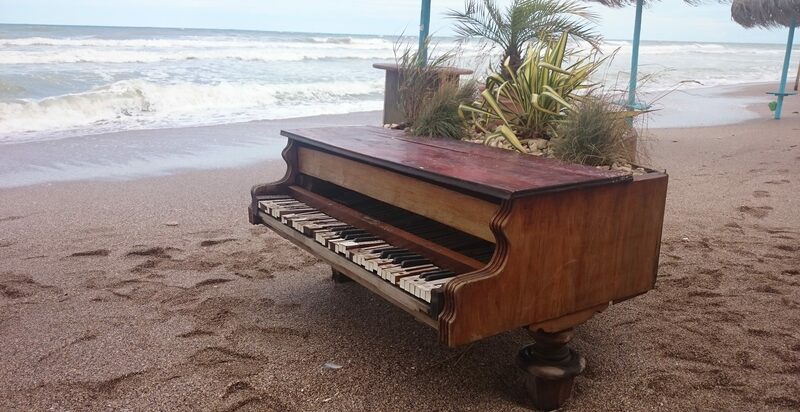 At sunrise they will play Maurice Ravel`s – Bolero on the beach. All the partying stops and the crowd gathers to look out onto the ocean for the sunrise. Amazing! I even opted for the go swimming and see the sunrise option, and went to sleep in the van after that. Being parked only 200m away from the place you party has its advantages. My last day in Romania started with the rising sun and the Bolero by the Black Sea and would end in Bulgaria by the Black Sea with some new company and my journey taking a direction that wasn`t planned. So the Saga of Romania ends in Vama Veche, but the journey of the Balkans continues in a new direction. Instead of heading just south through Bulgaria into Turkey, the road will take me west, how far, I didn`t know at this point. The road ahead will provide experiences and stories that will last me a life time, unfortunately it is also the reason for the loss of a lot of experiences and stories of my past! The journey continues; the next post will be from Bulgaria, Communism, amazing nature I didn`t expect and spending some time in a police station.